How Stress Impacts Your Sleep | Advanced Sleep Medicine Services, Inc. Many of us deal with stress every day in one form or another. However, extreme stress over a long period of time can have significant impacts on your health and may even place additional stress on those around you. If you or a loved one suffers from repeated stress, now is a great time to learn about the impact it can have on your sleep and health. April is National Stress Awareness Month, so tune in as we cover the topics of stress and sleep apnea. You’ve likely felt stress in many forms throughout your lifetime. 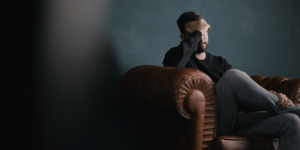 Whether it’s waiting to see if you’ll get chosen first on the elementary kickball team, worrying about making your house payment or taking care of an aging parent, you’ve likely already experienced a form of stress at every level. When you are in moments of stress, a small part of your brain called the hypothalamus controls your hormones. When stressed, your brain goes into action, producing these hormones to signal the fight or flight reactions to your body. You can experience good stress from a rollercoaster or any thrilling activity that makes your heart start pounding. However, too much stress can eventually lead to chronic or acute stress. Like most other things in life, everything should be done in moderation. You may find yourself sleeping better after experiencing moderate forms of good stress. Heart Disease: Stress damages the arteries in conjunction with high blood pressure. Over time this can contribute to high blood pressure. Gastrointestinal Issues Stress can worsen irritable bowel syndrome and heartburn. Stress can double the amount of stomach acid. Fertility Problems: There has been some research to support that a decrease in stress increases pregnancy rates for couples struggling with infertility. Lung Troubles: Think about the last time you experienced a high level of stress. Was it hard to breathe? This is because stress causes the lungs to tense, making breathing difficult. This is already a challenge for those dealing with OSA. When you have high levels of stress, it can make sleep a challenge. Think about your last sleepless night and the cause. It was likely due to some form of stress. If you suffer from obstructive sleep apnea, this can make dealing with it even more difficult. The degree to which one experiences stress impacts our ability to fall and stay asleep and this is true with any age group. There hasn’t been a study directly linking OSA and stress, but they are certainly related. If you are undergoing CPAP therapy, it is recommended to eliminate stressors in your life as much as possible. Although, many often find that once they have their OSA under control, they are less stressed and find themselves more capable to handle the challenges that come to them. If you find yourself constantly struggling with stress, you may want to consider getting tested for a sleep disorder. In the same way that stress can impact the body, not getting a proper amount of sleep can also negatively impact your health. Sleep helps to repair the stress caused by your body every day. This is why getting a proper amount of sleep is so important at all ages. On average, children ages 6-13 need 9 to 11 hours of sleep. Teenagers need 8-10 hours of sleep, whereas adults and older adults need at least 7 hours each night. If you have an untreated sleep disorder and stress, it’s likely you are not getting enough sleep. Sleep is something we all need to survive and knowing what impacts it is important to your health. Reach out to us for any of your sleep questions today! Appl Psychol Health Well Being. 2015 Nov; 7(3):293-315. doi: 10.1111/aphw.12049. Epub 2015 Jul 30.